光电工程师社区首页›光电论坛 › 光电理论及应用技术 › 投影显示成像及图像处理 › What is DLP Technology for Video Projectors and TV? What is DLP Technology for Video Projectors and TV? DLP technology is a revolutionary display solution for video projectors that uses an optical semiconductor to manipulate light digitally. It’s also a proven and dependable technology preferred by leading electronics manufacturers worldwide, with more than 1 million systems shipped since 1996. DLP technology is in use wherever visual excellence is in demand. In fact, it’s the only display solution that enables movie video projectors, televisions, home theater systems and business video projectors to create an entirely digital connection between a graphic or video source and the screen in front of you. The result is maximum fidelity: a picture whose clarity, brilliance and color must be seen to be believed. How does DLP Technology work?The story begins with a breakthrough in micro engineering-and ends with the best picture quality money can buy. At the heart of every DLP projection system is an optical semiconductor known as the Digital Micromirror Device, or DMD chip, which was invented by Dr. Larry Hornbeck of Texas Instruments in 1987. The DMD chip is probably the world's most sophisticated light switch. It contains a rectangular array of up to 1.3 million hinge-mounted microscopic mirrors; each of these micromirrors measures less than one-fifth the width of a human hair, and corresponds to one pixel in a projected image. When a DMD chip is coordinated with a digital video or graphic signal, a light source, and a projection lens, its mirrors can reflect an all-digital image onto a screen or other surface. The DMD and the sophisticated electronics that surround it are what we call Digital Light Processing technology. A DMD panel's micromirrors are mounted on tiny hinges that enable them to tilt either toward the light source in a DLP projection system (ON) or away from it (OFF)-creating a light or dark pixel on the projection surface. In this way, the mirrors in a DLP projection system can reflect pixels in up to 1,024 shades of gray to convert the video or graphic signal entering the DMD into a highly detailed grayscale image. The white light generated by the lamp in a DLP projection system passes through a color wheel as it travels to the surface of the DMD panel. The color wheel filters the light into red, green, and blue, from which a single-chip DLP projection system can create at least 16.7 million colors. And the 3-DMD chip system found in DLP Cinema projection systems is capable of producing no fewer than 35 trillion colors. Televisions, home theater systems and business video projectors using DLP technology rely on a single DMD chip configuration like the one described above. DLP technology-enabled video projectors for very high image quality or high brightness applications such as cinema and large venue displays rely on a 3-DMD-chip configuration to produce stunning images, whether moving or still. In a 3-chip system, the white light generated by the lamp passes through a prism that divides it into red, green and blue. Each DMD chip is dedicated to one of these three colors; the colored light that each micromirror reflects is then combined and passed through the projection lens to form a single pixel in the image. DLP technology comes closer than any other display solution to reproducing the exact mirror image of its source material. That's why images projected by DLP technology are always crystal clear. The thousands of mirrors making up the Digital Micromirror Device at the heart of DLP technology are spaced less than one micron apart, resulting in a very high "fill factor." By minimizing the gaps between pixels in a projected image, DLP projection systems create a seamless digital picture that's sharp at any size-without the pixellation or "screen door" effect apparent in other technologies. DLP projection systems outshine the alternatives because, being mirror-based, they use light more efficiently. While other technologies lose a certain amount of light in transit, the microscopic mirrors in a DLP projection system bring more light from lamp to screen. The difference is plain to see. With DLP technology, home entertainment becomes the visually stunning experience it should be. Business presentations have maximum impact-whether the lights are on or off. And large venue displays captivate their audiences with outputs of up to a whopping 15,000 lumens. DLP technology reproduces a range of colors up to eight times greater than that of analog projection systems. In televisions and home theater systems, DLP projection creates rich blacks and darker shades than is possible with other technologies. At the movies, DLP Cinema technology projects no fewer than 35 trillion colors-over eight times more than is possible with film. DLP color is becoming even more brilliant as we introduce Sequential Color Recapture or SCR, an innovation that will enable DLP projection systems (video projectors) to bring up to 40 percent more lumens to the screen than was previously possible. The Digital Micromirror Device at the core of DLP technology can modulate light much more quickly than other display ingredients. That means a DLP projection system only requires one panel, while other technologies require three. The result is a projection subsystem that is smaller and lighter, leaving ample room for innovative design. So product designers can focus on making their products lighter, slimmer, and more elegant. Think wide-screen televisions that don't eat up the living room. A new generation of cabinet-sized, 40-inch tabletop TVs. And portable projectors weighing as little as two pounds that are bright enough for lights-on presentations. DLP technology makes video projectors, home theater systems, and televisions more robust and more reliable. The digital nature of DLP technology means that, unlike other display solutions, it's not susceptible to heat, humidity, or vibration-environmental factors that can cause an image to degrade over time. DLP projection systems display an original-quality picture time and time again with zero hassle and minimal maintenance. And with more than one million systems shipped since 1996, DLP technology has a proven track record for outstanding dependability. DLP projection brings the same peerless visual standard to entertainment, work, and play. Innovation and flexibility: As far as we're concerned, you can't have one without the other. DLP technology fits into your life wherever visual experience is important. DLP technology delivers stunning images in your home, while DLP Cinema technology delivers unmatched image quality in the movie theater. The video projector you use for presentations also works its magic in your living room-or even doubles as the ultimate PC game enhancer for your kids (if they're lucky). And the all-digital nature of televisions and home theater systems featuring DLP technology makes them ideal for enjoying television programming, the Internet, and gaming applications all in one place. 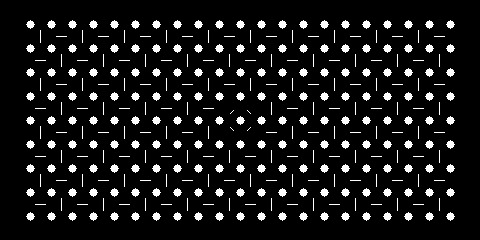 Digital MicroMirror Deviceor DMD consists of hundreds-of-thousands of tiny actuated mirrors, each of which is responsible for directing a single pixel to the screen. This direct pixel-for-pixel relationship ensures a sharp, highly-accurate picture. Digital Light Processing (DLP), Digital Micro Mirror Device (DMD) are trademarks of Texas Instruments, Inc.